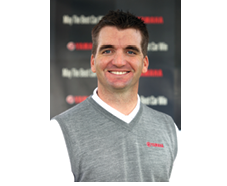 Kennesaw, Ga. – Yamaha Golf-Car Co. has announced the promotion of Brooks West, PGA, to national sales manager – U.S. direct sales, according to company president Tom McDonald. 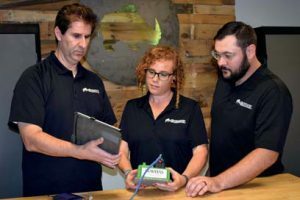 West most recently served as Yamaha’s seven-state, East Coast regional sales manager, during which he was nominated to Yamaha’s Regional Executive Program, where future leaders within the global Yamaha family are tapped for accelerated growth and training. Prior to that he was Yamaha’s district sales manager for Tennessee, northern Mississippi and northern Alabama. He had previously caddied on both the PGA TOUR and Nationwide Tour, where he was on the bag for Jerod Turner’s win at the 2009 Soboba Classic. Prior to that West served as a sales representative for AHEAD, a premium customized headwear, apparel and accessories brand. West began his management career in golf as the head golf professional at Dorado Beach Resort, a stunning oceanfront property west of San Juan, Puerto Rico. “The Yamaha family couldn’t be more proud of Brooks for his tireless dedication to advanced learning, compelling management and presentation skills, and upbeat client interaction,” said Yamaha President Tom McDonald. A native of Jackson, Miss., West is a graduate of Mississippi State University with a Bachelor of Business Administration in marketing, with an emphasis in professional golf management. He was elected to PGA Membership in 2004 and has held various service roles in PGA Section Leadership, including the awards committee chairman for the Middle Tennessee PGA Chapter. He and his wife Ashley are active at Midtown Fellowship and are expecting their first child this summer. 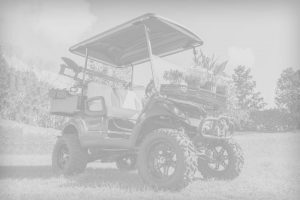 The Yamaha Golf-Car Co., headquartered in Newnan, Georgia since 1988, manufactures the most highly engineered, highest quality golf cars, utility, and specialty vehicles in the industry. The company was the first to develop Electronic Fuel Injection technology in a golf car, producing the best gas mileage and smallest carbon footprint, the first golf car with fully independent four-wheel suspension producing the smoothest ride in the game, as well as the first gas-powered car that is almost as quiet as an electric. Yamaha Golf-Car Company’s sales and marketing headquarters are located in Kennesaw, Ga.